XyronPro is a cold (pressure sensitive) lamination and adhesive application system that allows you to instantly apply laminate or adhesive to items without heat, odour or waiting for it to warm up! Perfect edge-to-edge dry adhesive transfer – no messy or flammable spray! Simply insert your artwork, turn the handle and trim! 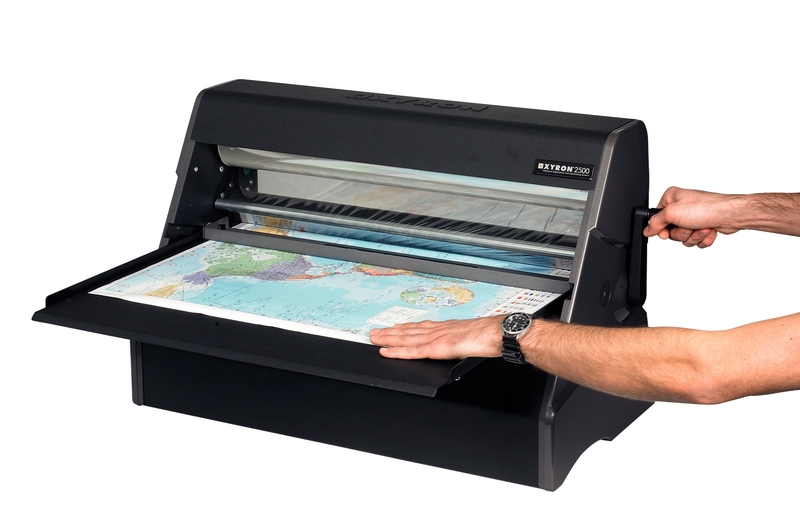 There are 2 models of machine available – the Pro1255 machine is the smaller machine which takes items up to 11.75” wide. The Pro2500 machine for larger items up to 25” wide. There are also 2 different refill cartridges available for both machines – the permanent adhesive cartridge, and the repositionable adhesive cartridge. The permanent adhesive refill cartridge applies an extremely aggressive, high tack, acid-free adhesive from edge-to-edge, instantly creating a permanent bond. The repositionable adhesive refill cartridge applies edge-to-edge acid-free adhesive which can be removed easily from glass, walls, paper and most other surfaces*, allowing items to be repositioned over and over again. Both are great for mock-ups, storyboards, presentations and more. Click here for the A3/A4 size permanent adhesive refill cartridge for use in the Pro1255 machine. 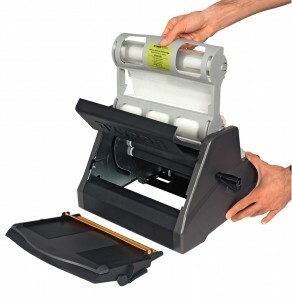 Click here for the A3/A4 size repositionable adhesive refill cartridge for use in the Pro1255 machine. Click here for the Pro1255 machine. For further details or assistance please call our team on 0800 013 2514 or email sales@designdirectsupplies.com!